Detailed Info Page for CygA. 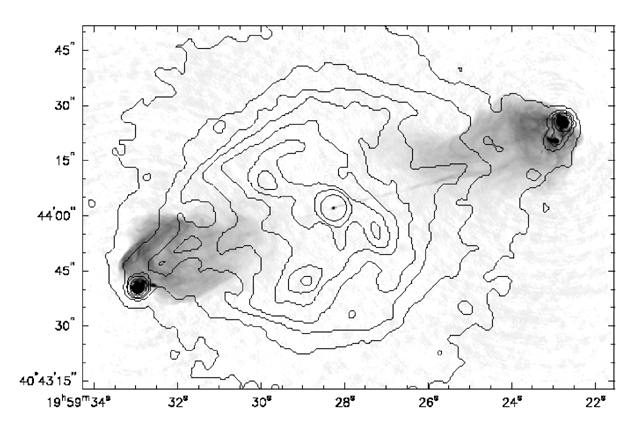 Infrared detections of hotspots in Stawarz et al. 2007. 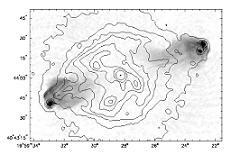 Follow this link to download the VLA 5 GHz image from Perley, Dreher, & Cowan (1984) ApJ, 285, 35.
Credit: NASA/UMD/A. Wilson et al. The data for this page were last modified on Fri Jun 29 12:52:53 2012.